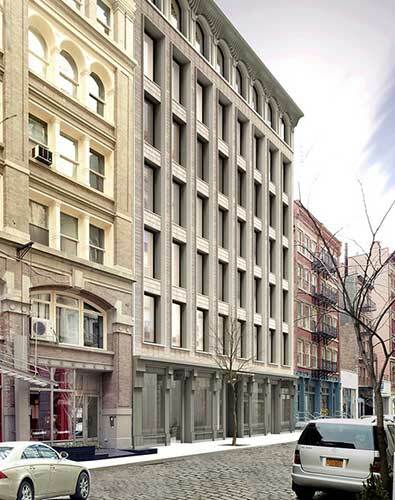 Located in picturesque SoHo, 150 Wooster is a mixed-use residential building that features 6 residential units (all full floor units with the penthouse being a duplex) with two retail spaces at the ground floor. With a facade consisting of limestone and painted steel ornamented with detailing, 150 Wooster encapsulates traditional SoHo style with a sophisticated edge. Due to the building's location within a historic district, we worked with the NYC City Planning Commission & the NYC Landmarks Preservation Commission to secure design approval. For our clients at KUB Capital.